If you are a foreigner planning to visit South Africa, or a local looking to explore and enjoy our amazing country, make sure you pencil in Wild 5 Adventures because we are a true South African Tourism treasure. This entry was posted in Endorsed by Wild 5 and tagged adrenalin, adrenaline, africa, amanzimtoti, aouth africa tourism, bungee jump, certificate, certificate of excellence, durban tourism, family fun, foreigner, gela productions, local, margate holiday, oribi gorge activities, Oribi gorge swing, outdoor activity, outdoors, production, productions, shelly beach, south africa, south coast, south coast tourism, thank you, tourism, treasure, tripadvisor, what to do margate, what to do south coast, what to do southbroom, wild 5 adventure, wild 5 adventures on January 30, 2019 by Wild 5 Adventures. 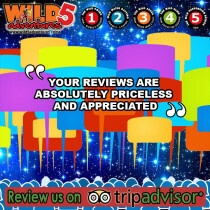 Wild 5 Adventures would like to thank each and every one who has taken the time to review us on TripAdvisor. Your reviews make a difference! We want to hear about your experiences. Please keep speaking to us as we are always listening. 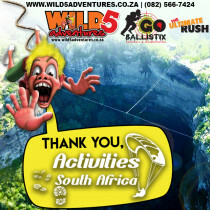 This entry was posted in Announcements, Endorsed by Wild 5 and tagged adrenalin, adrenaline, adrenaline junkie, adventure, amanzimtoti, bungee jump, durban, durban holiday, durban tourism, family fun, friends, fun, hear from you, holiday, holiday fun, kzn, margate, margate holiday, oribi gorge, outdoor activities, outdoor fun, port shepstone, priceless, ramsgate, reviews, south africa, south coast, south coast holiday, southbroom, speak to us, tripadvisor, uvongo, visitor posts, we want to hear, what to do durban, what to do margate, what to do south coast, what to do southbroom, wild 5, wild 5 adventure, wild 5 adventures, wild swing on August 2, 2018 by Wild 5 Adventures. Die sardine is op pad na die KZN Suidkus, is jy gereed! If that sounded like French to you, don’t worry, it’s only Afrikaans LOL! Basically, we are saying that the sardines are heading for the KZN South Coast, you are ready? This entry was posted in Endorsed by Wild 5 and tagged adrenalin, adrenaline, adventure, celeb challenge, durban, outdoor activities, port shepstone, sardine run, sardine season, sardines, south coast, south coast holiday, tourism, ugu tourism, weg magazine, what to do durban on June 20, 2018 by Wild 5 Adventures. If you were not planning to visit the KZN South Coast for this year’s Sardine Run, we are sure this will change your mind! 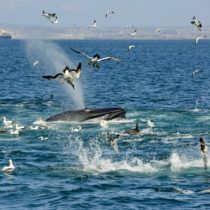 An epic lineup of events awaits you this Sardine Season. This entry was posted in Endorsed by Wild 5 and tagged #jumpforsardines, abseil, adrenalin, adventure, amanzimtoti, celeb challenge, durban sardine, durban tourism, feature, getaway magazine, margate holiday, outdoor activity, port shepstone, promo, sardine, sardine promo, sardine run, sardine season, south coast, south coast sardine, south coast tourism, southbroom, tourism, ugu, ugu tourism, what to do margate, what to do south coast, wild 5 adventures on June 20, 2018 by Wild 5 Adventures. 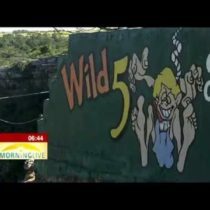 In this awesome SABC TV interview you get to learn more about the Oribi Gorge as well as us, Wild 5 Adventures and our thrilling, action-packed activities! This entry was posted in Endorsed by Wild 5, Wild 5 Adventures and tagged abseil, adrenalin, adventure, amanzimtoti, bragging rights, celeb challenge, digital, digital news, durban tourism, margate holiday, news, noel, oribi gorge, outdoor activities, outdoors, port shepstone, programme, sabc, sabc digital news, south coast holiday, southbroom, superstar, tv, tv program, uvongo, video, what to do durban, what to do margate, what to do south coast, what to do southbroom, wild 5 adventures on January 17, 2018 by Wild 5 Adventures. 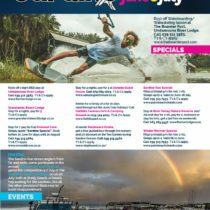 We want you to get the most out of your festive season holiday on the KZN South Coast. 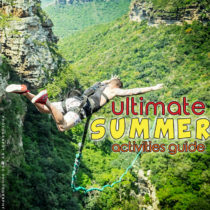 We have put together this ultimate summer activities guide to serve as a list of what to do while you are not enjoying yourself at Wild 5 Adventures of course. This entry was posted in Endorsed by Wild 5, News and tagged adrenalin, adventure, beach tour, bungee jump, cartoon network, clover big beach sports tour, coca cola, coca cola sizzle, dstv, dstv cartoon network, durban tourism, holiday fun, kzn, kzn south coast, margate holiday, outdoor activities, outdoors, shelly beach, shelly centre, south coast, south coast holiday, sports tour, summer activities, summer activity, summer beach, summer fever, tennis, tiagos summer, tiagos summer tour, vodacom, vodacom 4 u, vodacom summer, what to do, what to do durban, what to do south coast, what to do southbroom, wild 5 adventures, wozani on December 6, 2017 by Wild 5 Adventures. 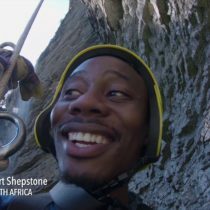 The incredible team from the inspiring SABC 2 television show Authentiek came and earned their bragging rights at the one and only Wild 5 Adventures. 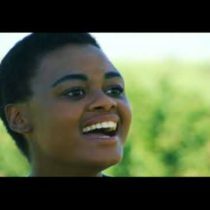 In this video you get to see exactly what they got up to. This entry was posted in Endorsed by Wild 5 and tagged adrenalin, adrenaline, adrenaline junkie, adventure, amanzimtoti, authentiek, bragging rights, bungee jump, durban, durban holiday, durban tourism, exciting, face your fear, friends, holiday fun, incredible, margate holiday, oribi gorge, outdoor activities, outdoor activity, outdoors, port shepstone, sabc, sabc 2, shelly beach, south coast holiday, south coast tourism, southbroom, team, television, tv show, what to do, what to do margate, what to do south coast, what to do southbroom, wild 5 adventure, wild swing on August 31, 2017 by Wild 5 Adventures. 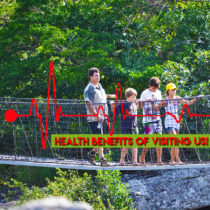 Did you know that there are 3 amazing health benefits from visiting Wild 5 Adventures. Keep reading to learn all about them….. Spoiler alert! It involves getting your adrenaline pumping. This entry was posted in Endorsed by Wild 5 and tagged abseil, adrenalin, adrenaline, adventure, adventures, amanzimtoti, bungee jump, chronic, comfort zone, confidence, did you know, durban, durban holiday, durban tourism, enhance, exercise, family fun, feel good, health, holiday fun, immune, immunity, margate, margate holiday, oribi gorge, outdoor activity, outdoors, performance, port shepstone, pumping, sense of self, south africa, south coast, south coast holiday, south coast tourism, stress, uvongo, what to do margate, what to do southbroom, wild 5, wild 5 adventure, wild 5 adventures, wild swing on August 3, 2017 by Wild 5 Adventures. We would like to give a special shout out and say a big thank you to Activities South Africa for their awesome listing of Wild 5 Adventures! This entry was posted in Endorsed by Wild 5 and tagged abseiling, activities, Activities South Africa, adrenaline junkie, adventure traveler, bungee, bungee jump, durban tourism, Freewalker Adventure Travel, fun, oribi gorge, outdoor activities, paint ball, rafting, river rafting, south africa, tourism, tourist, travel, what to do durban, what to do margate, wild 5, wild 5 adventure, wild 5 adventures, wild swing, zip line on May 11, 2017 by Wild 5 Adventures.